Companies need to be realistic when it comes to the disaster preparedness of their supply chains. Natural disasters, factory explosions, labor disputes, power outages, chemical spills, geopolitical crises - these supply chain disruptions and continuity risks are not matters of if, but when and where. 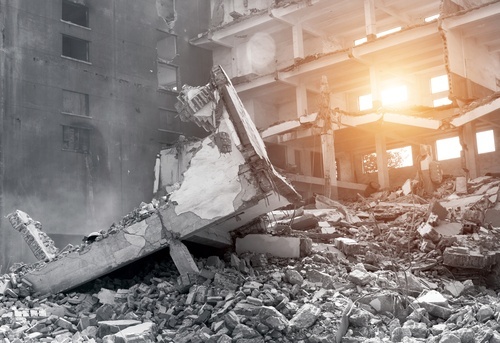 Once a disaster strikes, do you know what is going on at the part-level of your suppliers? Have you identified which activities and roles you need to concentrate on so your business can weather the storm? Any effective supply chain resiliency program will include contingency plans that ensure production and product delivery continue - either uninterrupted or with minimal financial, competitive, or customer impact - in the event of a supply chain disruption. A developed supply chain business continuity plan fosters corporate mindfulness and prepares your business and network of supply chain partners to perform uninterrupted regardless of where and when a supply chain disruption event may occur. Your organization may be required by government legislation or corporate governance to implement a form of Business Continuity Management into its policies. Insurance companies will view your company more favorably should a crisis require your company to summon their services. Supplier Business Continuity Planning gives upper management a better grasp of the minute details of the business’ suppliers and helps the organization identify supply chain vulnerabilities. It offers useful ways to improve organizational processes, even in areas that were previously unconsidered. Supplier BCP minimizes Time to Recovery (TTR) whilst fostering supply chain visibility. Supplier BCP can prepare smaller businesses from large-scale revenue loss from disruptions, disruption which larger enterprises may have been better suited to mitigate. Business Continuity Planning bolsters your business against large-scale problems affecting suppliers through detailed planning and helps eliminate smaller problems that may have caused continuity interruptions. A Business Continuity Plan shows your investors and stakeholders that you take your shared business’ continuity seriously, and that your organization is prepared and desires to maintain productivity regardless of setbacks. Your customers will appreciate that your organization has taken steps to ensure continuity to fulfill your commitments. Business Continuity Plans display your commitment to quality service and instill a confidence in your business. Business Continuity Plans help protect your company’s brand, image, and reputation. Most importantly, a thorough Supplier Business Continuity plan can significantly reduce your revenue losses in the event of a disaster. Since disasters come in all shapes and forms, and each disaster has its unique cascade of impacts (see: Anna Karenina Principle), this requires companies to prioritize which parts of the business to keep running when a disaster hits. Since there are too many variables to plan a response for each potential disruption, supply chain business continuity plans are vital supply chain resiliency measures. Resilinc provides a cost-effective and repeatable process for assessing supplier business continuity risk and recovery capabilities at the part level, and integrates that information into a comprehensive supplier risk evaluation and mitigation program. The solution leverages Resilinc’s existing network of “on-boarded” suppliers and information repository to facilitate supplier collaboration and data sharing. Analytics are then applied to drive supplier scorecards, revenue impact analysis, and risk mitigation strategies and tactics. 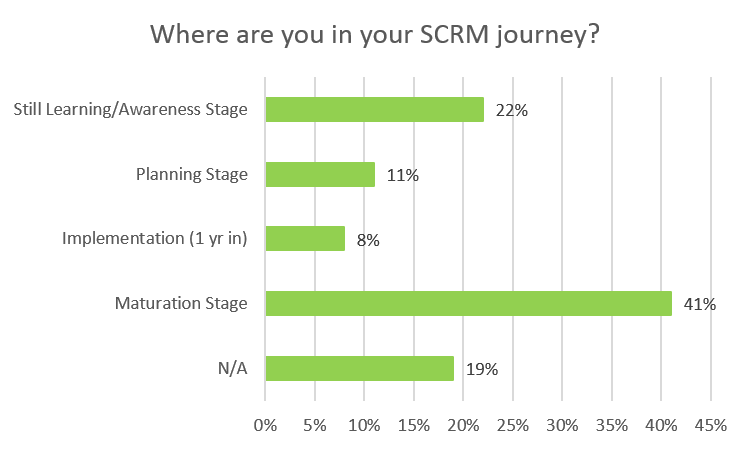 Where Are You in Your SCRM Journey? Across companies and industries, there is a growing awareness of the importance of supply chain risk management and resiliency programs. However, establishing an enterprise-wide supply chain risk management and resiliency program within your company doesn’t happen overnight, nor should it. It’s a multi-pronged process unique to each company, and each company is at a different stage of awareness, preparation, implementation, adaptation and maturation. On the second day of the recent annual Global Supply Chain Resiliency Council event, we held a live poll at the conclusion of our customer training sessions to gauge where attendees were in their respective SCRM and resiliency journeys. The supply chain practitioners in attendance represent some of the largest companies with the most extensive global supply chains. 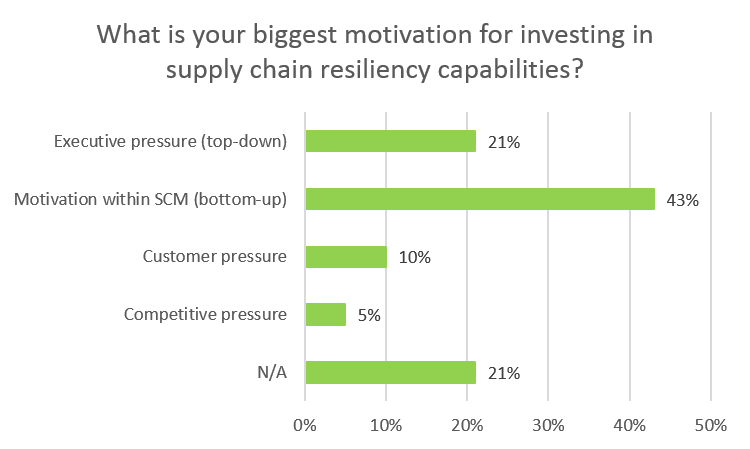 As such, this post provides our poll’s findings to give you a better sense of where other major companies are in their SCRM journeys, and as to why they choose to pursue supply chain resiliency. You will see that companies of all sizes, regardless of industry, can fall along a “resiliency spectrum”. While some are well into implementing and maturating their supply chain risk management and resiliency programs, others are still gaining awareness and planning their processes. Major supply chain disruption events, a.k.a black swan events, can take a tremendous toll on business continuity and revenue, affecting some companies and industries more than others. When we published the whitepaper "Tianjin Explosions Global Supply Chain Impact: It's Worse than You Think", we predicted that the crisis was, as the title suggests, worse than you would think. 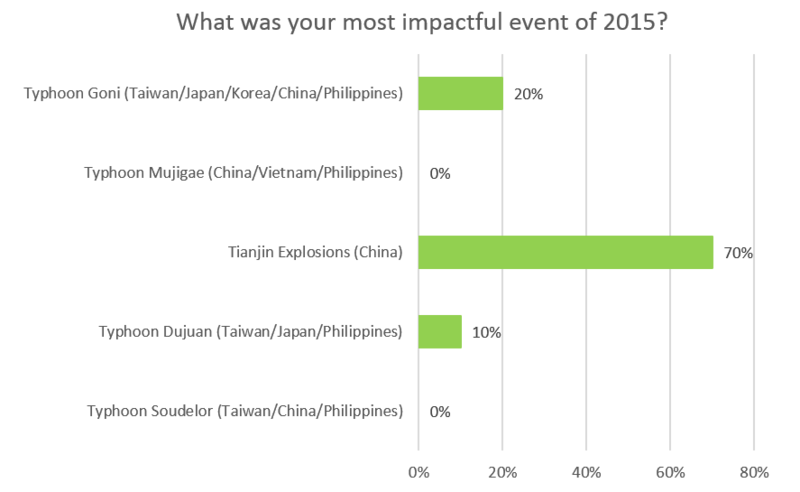 As the poll data suggests, the Tianjin explosions truly did have a far-reaching, rippling impact across industries. Black swan events are unpredictable and can take a major toll on an enterprise. Having a formal Crisis Management program gives companies a significant competitive advantage when confronted with unexpected crises. As the poll indicates, Crisis Management programs are growing more common among enterprises with complex multi-tier supply chains. 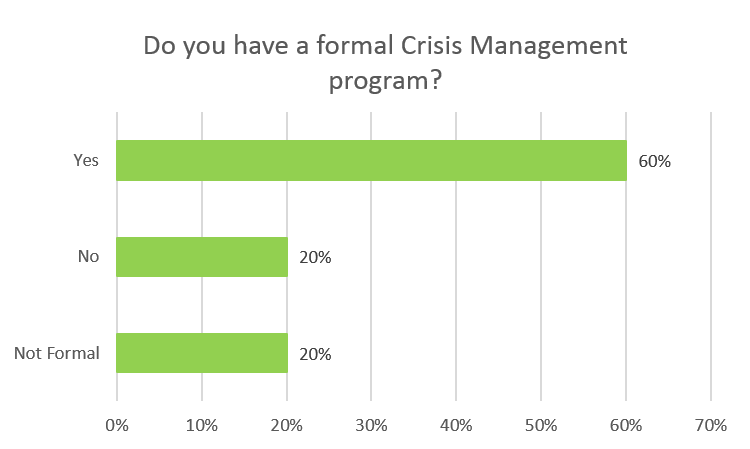 Given that 40% of the polled attendees either did not have a formal Crisis Management program or have non-centralized Crisis Management processes, it is fair to assume that companies that have implemented a cohesive Crisis Management program are better suited to respond and mitigate major supply chain disruptions than those that are not fully prepared. 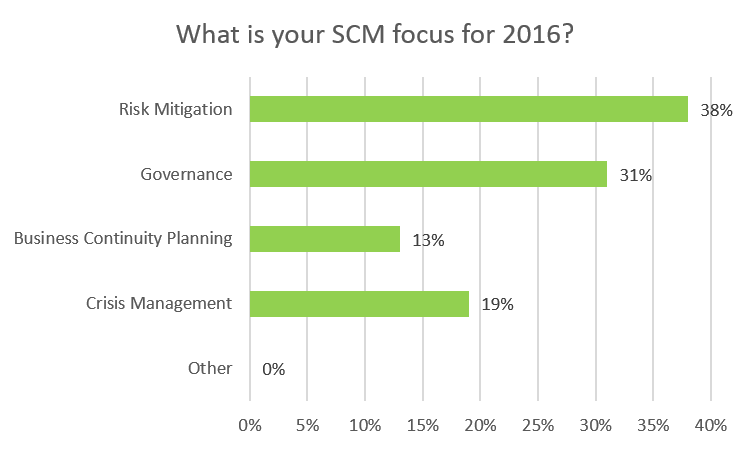 It is important for SCM departments to identify their weak spots and figure out how they can become more resilient in the coming year. Nearly one third of the polled attendees recognized that governance, or the structures and processes by which supply chain constituents share power, can always have room for improvement and lubrication. One fifth wanted to bolster their Crisis Management programs to be resilient in the face of unexpected crises. About one sixth of the attendees want to address their business continuity planning. Nevertheless, risk mitigation appears to be the most common arena for improvement among companies across industries. Some companies’ SCRM programs are driven from the top-down, while others are driven from the SCM upwards – the motivations to manage risk and become resilient are as varied as risk itself. As the global supply chain risk terrain continues to evolve, companies across all industries realize they need to adapt. Although addressing and preparing for the encompassing scope of supply chain risk may be intimidating, waiting for risks to manifest and maintaining a reactive stance towards the supply chain risk can be far more damaging to a company’s revenue and brand. For those who are unfamiliar with Resiliency, we highly encourage that you download "The Ultimate Guide to Supply Chain Resiliency". In this document, we provide supply chain risk management practitioners with concrete suggestions and guidance on how to create, roll-out, and institutionalize a global supply chain resiliency program (SCRP). The premise of this guide is that there is an unserved need for information on the topic of building and managing a SCRP that adequately addresses the crucial initial phase of building the business case, establishing strategic alignment, and securing executive sponsorship. Media outlets are abuzz following a joint investigation report released by Amnesty International and African Resource Watch (Afrewatch) on January 18th titled “This is What We Die For: Human Rights Abuses in the Democratic Republic of Congo Power the Global Trade in Cobalt”. The report investigated human rights violations in the cobalt supply chain and rebuked several big brands, like Apple and Samsung, for failing to ensure that their products do not contain cobalt extracted by children in the DRC. In this post, we discuss the regulation of cobalt (or lack thereof), examine the report’s findings and discuss the potential supply chain brand risks associated with DRC-originated cobalt. Cobalt: Not Technically a "Conflict Mineral"
Cobalt is utilized in myriad products, particularly consumer electronics, and is an essential element in lithium-ion batteries. High demand for smartphones and the rapidly growing electric automotive industry have also stimulated demand for the metal. However, there is no regulation of the global cobalt market, which has resulted in non-governmental agencies like Amnesty International conducting comprehensive investigations to shed light on child labor in the cobalt supply chain. Currently, cobalt does not fall under existing “conflict minerals” rules in the USA as stipulated by the Dodd-Frank Act passed by Congress. The rules require that companies disclose the use of “conflict minerals” in their products. These include tantalum, tin, tungsten, and gold – also referred to as “3TG”. The elements are mined in the Democratic Republic of Congo (DRC) and used in a variety of components that go into high-tech products and automobiles. The intent of the Rule is to reduce a significant source of funding for armed groups that are committing human rights abuses, including the exploitation of child labor, and contributing to the conflict in the eastern DRC. As it is, ongoing litigation concerning key reporting and disclosure requirements has made conflict mineral compliance and 3TG transparency an industry-wide challenge. So where does cobalt fit into all this? It is important to note that 50% of the world’s cobalt supply is sourced from the DRC, but since it is not included in conflict minerals legislation, companies have no legal obligation to disclose their use of cobalt from the DRC. When it comes to sourcing an industrially significant yet now controversial resource like cobalt, child labor and slave labor is a tremendous brand risk, and companies can be unwittingly implicated. Due to complex supply chains and a lack of multi-tier visibility, companies may inadvertently turn a blind eye to conditions in the supply chain until unpleasant realities confront them. In the report, Amnesty International detailed the unregulated, dangerous, and unhealthy conditions at the cobalt mines in the DRC. The investigation found that children as young as 7 would work in “artisanal” mines for up to 24 hours at a time without the most basic of protective equipment, such as gloves, work clothes, or facemasks to shield them from lung or skin disease. According to UNICEF, approximately 40,000 children worked in mines across the southern DRC in 2014, most of whom would work beyond twelve hours a day, carrying heavy loads to earn a pay between one to two dollars a day. The report explains how traders buy cobalt from areas in the DRC where child labor is prevalent and sell it to Congo Dongfang Mining (CDM), a wholly owned subsidiary of Chinese mineral behemoth Zhejiang Huayou Cobalt Ltd. (Huayou Cobalt). Using investor documents, Amnesty International discovered that Huayou and its subsidiary CDM process the cobalt before selling it to three battery component manufacturers: Ningbo Shanshan and Tianjin Bamo in China, and L&F Materials in South Korea. These three component manufacturers (that bought more than $90 million worth of Cobalt from Huayou Cobalt in 2013) then sell the processed cobalt to battery makers who supposedly supply big name technology and car companies. It’s these three manufacturers that serve as the link between a long litany of consumer brands and child mining in the Democratic Republic of Congo. 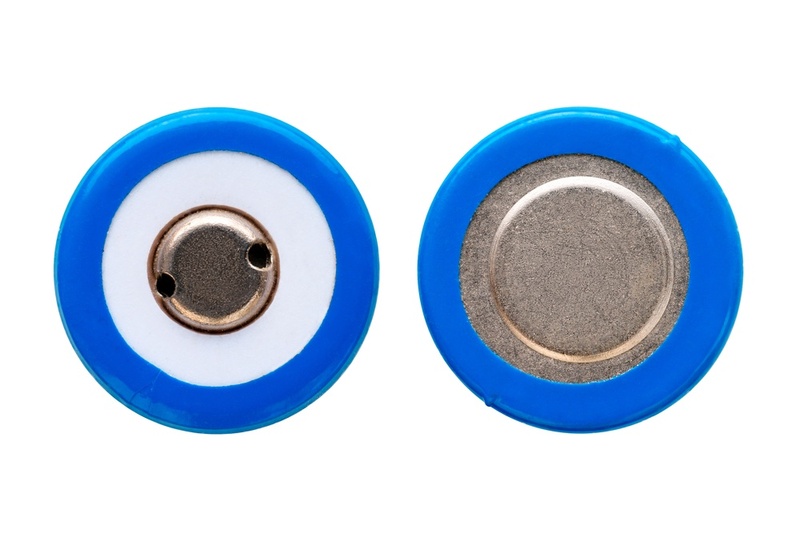 Asserting that numerous big brands have failed to do their due diligence and address human rights risks in their supply chain, the report noted 16 consumer brands that are either direct or indirect customers of the three aforementioned battery component manufacturers. Among these listed brands are big names like Apple, LG, Daimler, Microsoft, HP, Samsung, and Lenovo, to name a few. Seeing these brands frantically respond to Amnesty International’s report is understandable, and in a way, they’ve been caught in a tricky situation trying to protect their reputations. Since litigation has not required these big names to disclose information regarding their cobalt suppliers, there had yet to be a significant impetus for these companies to look further into their supply chains and verify the conditions at their cobalt suppliers. A lack of supply chain visibility and transparency effectively put them in a reactive position where they’re forced to reckon with the publicity after the fact, rather than take proactive measures to prevent such brand risks. Given the ubiquity of cobalt in consumer goods, this report can be taken as a wake-up and a possible harbinger for future legislation. It demonstrates how important multi-tier visibility is in identifying potentially harmful cogs throughout their supply chains. Brand risk management should be taken as seriously as general supply chain risk management because, in many regards, reputation is everything in a fiercely competitive global marketplace. Companies shouldn’t have to wait for legislation to inform their corporate social responsibility (CSR) perspective, but rather, should look ahead. Amnesty International’s report not only reminds companies of the importance of up-to-date CSR reporting, but also the importance of developing deeper relationships with their suppliers. Utilizing supply chain network mapping services help companies develop a more transparent and manageable supply chain and avoid potential brand risks. In the recent study “Global Claims Review 2015: Business Interruption in Focus,” Allianz Global Corporate & Specialty (AGCS) reported that increased interdependencies in global supply chains have led to a significant increase in business interruption-related insurance claims over the past five years. Analyzing over 1,800 business interruption claims from 68 countries from 2010 to 2015, the study found fires and explosions accounted for nearly 60% of those claims and that the average BI insurance claim now exceeds $2.4 million, 36% higher than the corresponding average direct property damage claim. Fires and explosions are particularly disruptive to sectors with high levels of interconnectivity and concentrations of risks in single locations, such as automotive, semiconductor, and petrochemicals, among others. The Tianjin explosions dominated this year’s loss activity and highlighted the necessity of strategic business interruption (BI) and contingent business interruption (CBI) insurance coverage, especially for disruptions that originate from technical or human error. But CBI insurance is not a panacea for addressing key fire and explosion risks in your supply chain and doesn't guarantee a business will avoid resulting financial loss from sub-tier disruptions and their rippling impacts. More large businesses are recognizing the importance of supply chain event monitoring, visibility, and risk management measures to help to inform their CBI insurance policies and minimize income losses from day-to-day disruptions through proactive mitigation. According to the five-year study, fires and explosions accounted for the lion share of the surveyed BI property damage insurance claims at 59%. On the other hand, storms were the second top loss driver but only accounted for a mere 6% of the BI claims. Only 12% of the BI property damage claims originated from natural catastrophes while the other 88% were traced back to technical or human errors. This will come to a surprise to many that have the perception that natural catastrophes are the top business loss driver for businesses to seek coverage. As many large businesses have shifted their manufacturing and production operations overseas to China and the rest of Asia, factory fires and explosions at supplier and sub-tier premises are an increasingly common occurrence. Numerous factors may have contributed to the increased frequency and severity of disruptive fires and explosions, from less adherence to regulations, to higher instances of unskilled labor and faulty machinery. Much to the chagrin of large businesses, factory fires often occur below the tier 1 suppliers and often go undetected and unmitigated, lengthening time-to-recovery and increasing losses. The Tianjin explosions were a tremendous blow to global supply chains, affecting entire sectors across the board. At the world’s 10th largest port, operations were brought to a standstill amidst the chaos, impacting the flow of materials and products in and out of China. Chinese government censors actively removed and restricted information regarding the blasts, making it harder for companies to determine their impacted suppliers. Home to countless direct and indirect suppliers to large businesses across industries, Tianjin became a CBI reinsurance nightmare. According to the AGCS study, the Tianjin explosions were the largest man-made insurance loss in 2015. Confirmed insurance industry losses via company announcements have already reached $2 billion, although many reinsurance brokers believe the total insured loss could exceed $3.3 billion. However, we must consider that these figures only represent direct insurance losses, and are not representative of the inventory and profit losses faced by countless businesses whose indirect suppliers were affected by the disaster. While ownership of product in transit can be clearly defined when companies enter into a trading agreement, there can still be ambiguities about who owns what and when exactly. From a CBI reinsurance standpoint, the Tianjin disaster is one of the most complex non-natural catastrophes to understand and untangle financially. It was an unexpected event and the explosion’s footprint was much larger than anticipated. Business interruption insurance does not necessarily safeguard a business from incurring income loss following a supply chain disruption. Contingent business interruption (CBI) insurance is an extension to a BI insurance policy designed to cover an insured’s business income loss from the loss, damage, or destruction of property owned by others, which includes direct suppliers and direct receivers of the product or service. However, CBI insurance typically only provides coverage for the direct relationship between the insured company’s suppliers or receivers, which can create a rift in coverage for companies involved in multi-tier supply chains. Indirect suppliers, which can comprise a large portion of a supply chain, are usually not covered. In many cases, businesses may be unaware of the indirect suppliers bolstering their direct suppliers and end up paying tremendous policy premiums. Let’s suppose a fire or explosion interrupts operations at an indirect supplier’s premises. That interruption in turn causes a disruption to the insured company’s direct supplier. Ultimately, this causes an income loss to the “insured” business. Since the direct supplier did not experience direct physical damage per se, the otherwise insured business’s CBI policy would likely exclude coverage for the income loss in this case. Businesses must acknowledge the limitations of CBI insurance to manage business income losses following supply chain disruptions like fires and explosions. Clearly, CBI insurance is critically important to the health of a company’s supply chain, but it’s no panacea for the increasing levels of risk posed to global multi-tier supply chains. Despite the prevalence of disruptions like fires/explosions and the aforementioned limitations of traditional BI and CBI insurance policies, there are numerous steps and measures a business can take to help prevent profit and product loss whilst treating and mitigating risk. Implementing supply chain risk management measures can help you avoid additional CBI insurance policy premiums. 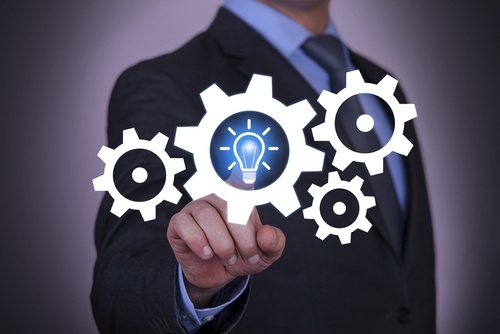 Companies can use a broad array of indicators to pick up on potential problems with suppliers. For example, vetting your supplier for a track record of fires/explosions can guide the selection of a primary and alternate supplier. Consider monitoring the competitors of your suppliers to see developments or problems within the industry environment of your suppliers. Supplier capacity management helps businesses prepare for inevitable disruptions by analyzing and proactively mitigating supplier capacity risks. It involves gathering supplier intelligence at the company, product, part, and process level in order to detect capacity disruptions before they happen. Supply chain event monitoring services enable businesses to quickly identify relevant disruptions, decrease response times, and reduce time-to-recovery. Since disruptions like factory fires are usually reported at the local level, it’s necessary to analyzes multi-lingual feeds to identify disruptions that would have otherwise gone unnoticed. For example, Resilinc’s EventWatch supply chain event monitoring service provides tailored email reports with meaningful impact insights from a wide scope of disruption events. As seen in the graph below, factory fires and explosions are EventWatch's top notified event. Ultimately, the AGCS study’s findings indicate the growing need for companies to achieve supply chain visibility. Fires often occur in the clandestine pockets of a supply chain and it’s the disruptions that a company doesn’t see that can end up affecting it the most. Supply chain network mapping can aid in developing a precise CBI insurance policy that covers as many bases as possible. 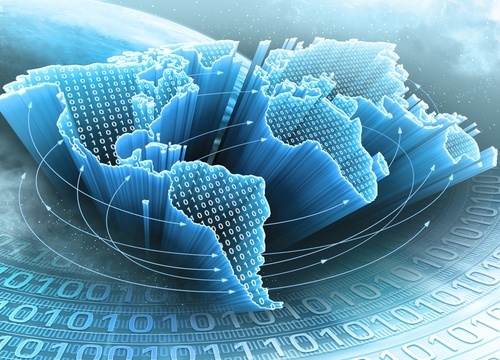 Building a global supply chain resiliency program can keep your supply chain out of the fire. Don’t get burned – get resilient. It’s been just over 100 days since catastrophic explosions rocked the Port of Tianjin, sending shockwaves throughout global supply chains. Upon first word, it was apparent the disaster at the world’s 10th largest port was unique and would deeply impact industries across the board. Though the media understandably focused on the environmental and humanitarian impacts, pertinent operational and industrial details were relatively neglected, exacerbating the situation for worried supply chain practitioners. Furthermore, Chinese government censors made significant efforts to control the inevitable bad publicity, throwing smoke screens in front of a situation that desperately needed transparency. Soon after, our whitepaper entitled “The Aftermath of the Tianjin Explosions: A Global Supply Chain Impact Analysis – It’s Worse Than You Think” predicted the disaster’s long-term supply chain disruptions and explained the difficulty of gauging its impact due to censorship. In this retrospective post, we look at a few of the lingering supply chain impacts that have since come to light. They range from impacts to insurers, automakers, government regulation, and censorship stakeholders. In a world of globalized supply chains, the Tianjin disaster demonstrates how business interruption is one of the hardest risks for insurance companies to evaluate and assess. According to the Port of Tianjin website, around 40 percent of China’s imported passenger vehicles pass through the Port of Tianjin. Thus, numerous automakers – including Volkswagen, Hyundai, Renault, Ford, Toyota, and Jaguar Land Rover -- suffered direct impacts from the explosions. The first photographs following the explosions show rows of charred cars mangled beyond recognition – an eerie juxtaposition of order and chaos. British carmaker Jaguar Land Rover lost nearly 5,800 cars from the blasts, leading the company to post a pre-tax loss of 157 million pounds.3 Consequently, Tata Motors, Jaguar Land Rover’s parent company, posted a net loss for the period amidst falling sales in China. Japanese automaker Toyota reported that over 50 of its employees were injured as a result of the explosions despite being located over a mile away from the blast site.4 Toyota also reported damage to two production plants and a research-and-development facility, as per International Business Times. However, Toyota’s implementation of supply chain mapping helped the company identify disruptions and tally losses quicker than others. Despite being one of the world’s most prolific chemical suppliers, weak enforcement of hazardous chemical regulations is a systemic issue in China that threatens supply chains on a day-to-day basis. Factory fires, explosions, and chemical spills are relatively common occurrences in China, yet the majority of these supply chain disruptions occur on such a small scale that they’re often undetected without the help of event monitoring services. Investigations revealed the company responsible for the initial explosions, Ruihai International Logistics, illegally stored over 3,000 tons of hazardous chemicals including sodium cyanide, calcium carbide, and fertilizer nitrates.1 Offering lower prices, minimal paperwork, and speedy government approvals, Ruihai International Logistics built a reputation as a simple solution for international shipments of hazardous chemicals by exploiting weak governance. Though enticing to a business looking to cut costs, companies like Ruihai International Logistics show how non-compliance can even lead to catastrophe. 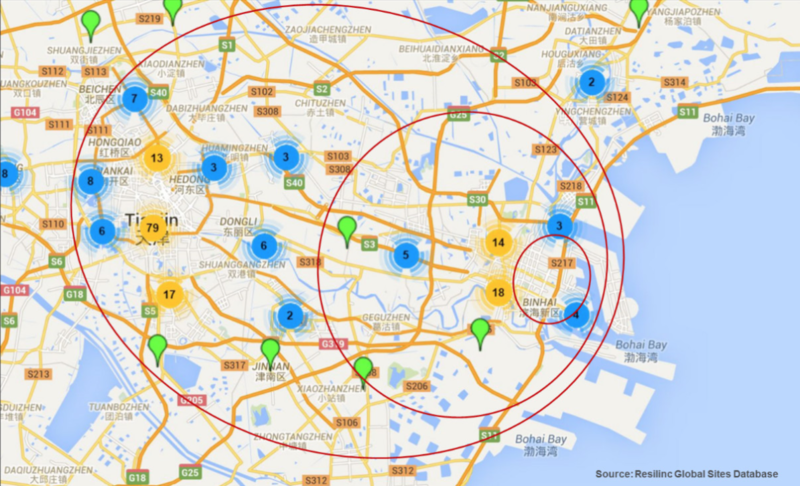 In early October, state authorities declared all hazardous chemical companies in the Tianjin Binhai New Area were to be relocated to Nangang Industrial Zone, 19 miles from the blast area and 6 miles from the closest residential area.8 Whether or not the mass relocation does anything to ameliorate the situation, supplier relocations can present their own set of supply chain disruption risks. However, there has yet to be any public confirmation that this mass relocation has even taken place. Censorship is nothing new in the People’s Republic of China. Yet, in the case of the Tianjin disaster, state censorship of emerging details made it nearly impossible for businesses and the global community to assess the disaster’s supply chain implications. Though information began pouring into the internet soon after the explosions, it didn’t take long for state censors to begin removing internet content mentioning the words “Tianjin” and “explosion.” Webpages critical of China’s lax governance were taken down with haste. Though careful Internet maneuvering allowed one to excavate details here and there, the entire picture of what happened remained out of sight for far too long. Thus, businesses with supply chain operations in China must acknowledge censorship as a supply chain risk, especially in times of disaster. Censorship compromises the integrity of journalism and the passage of information from one avenue to another. When it comes to supply chain risk management, the proper inflow of pertinent details allows businesses to make conscious, money-saving decisions and avoid further supply chain risks. Furthermore, censorship leads to misinformation, and a misinformed supply chain can unwittingly sabotage its self. Indubitably the most impactful black swan event of 2015, the Tianjin disaster was a wake-up call to the entire supply chain community, reminding businesses to not take sub-tier stability for granted. It’s been over three months since the explosions, and only time will tell how much additional impact will be felt. Though nobody could have expected such a catastrophic event, businesses that had implemented supply chain visibility measures and contingent business interruption insurance were much better prepared to mitigate supply chain impacts. Confronting the opaque tiers your supply chain will help you to manage the unexpected. Don’t censor the inevitable - it’s only a matter of time before the next black swan lands on your supply chain. Confronting the ethical and humanitarian issues that could be hiding in the shady nooks of your end-to-end supply chain is neither easy nor enjoyable to think about. Yet, for the sake of your business’s brand and operations, it’s a necessary inspection. Due to a lack of supply chain visibility, some businesses are caught off guard when accused of using conflict minerals from unverified sources or utilizing slave labor at some stage of production – activities which may have transpired at a sub-tier level despite the company’s efforts to prevent them. With a greater public focus on corporate social responsibility, the widespread use of social media, and the advent of better technology for mapping sub-tier supplier visibility, businesses need to take a deeper look at the inner-workings of their supply chains to avoid the wrong attention. In this post, we explore three modern supply chain brand risks that could be sabotaging your supply chain without your knowledge: counterfeit materials and products, slave labor and human trafficking, and conflict minerals. While globalized supply chains and world markets have given businesses tremendous opportunities to grow and thrive, broad global demand also stokes the production of counterfeit goods and intellectual property infringement. Counterfeiting is a tremendous brand risk because its prevalence affects all industries at various levels, from the consumer to the brand owner to the companies that unwittingly utilize or sell fraudulent products. In the pharmaceutical industry, for example, counterfeiting poses tremendous consumer health and safety risks. At every corner of the pharmaceutical supply chain – from sourcing raw materials to production to distribution – there are plenty of opportunities to interject mislabeled, forged, or fake ingredients and materials. In 2006, over 78 people died in Panama from ingesting a cough medicine that used unauthorized ingredients from China. It was discovered that the cough syrup contained diethylene glycol (used in antifreeze) instead of glycerin, an inactive ingredient in most cough syrups. Authorities found that barrels were mislabeled to indicate they contained glycerin, when in fact the barrels were full of diethylene glycol. Successful brands cannot afford risk the consequences of inauthentic goods and components. Properly verifying the chain of transfer from supplier to distributor to customer is critical to ensuring counterfeit products don’t infiltrate your supply chain and tarnish your brand. Slavery and human trafficking are crimes under state, federal, and international law. Yet slavery and human trafficking still exist in every country, even in the United States. From mines to factories, forced labor and child labor plague supply chains worldwide, yet consumers inadvertently abet these crimes by purchasing goods whose production is facilitated by slave labor. Due to the criminal natures of slavery and human trafficking, they are usually hidden from view and challenging to uncover, making it difficult for procurement professionals to assure their supply chains do not unwittingly involve exploitative labor. Moral bankruptcy aside, the use of forced labor is a supply chain brand risk your business should be avoided at all costs. In September 2009, the United States Department of Labor released a report detailing 122 goods from 58 countries believed to be produced by labor in violation of international standards. Governments and consumers are demanding that businesses act to implement ethical sourcing programs. If found to be sourcing from suppliers using exploitative labor, a business can face legal ramifications, suffer reputational damage, and risk losing both consumer confidence and market share. In recent years, significant legislative efforts have been underway to identify and punish perpetrators of slave labor and human trafficking. However, there has been a lack of legislative momentum towards addressing the wider market for tainted goods and products. Given your supply chain is compliant with international labor laws, publishing a formal statement of supply chain compliance can help assure supply chain integrity, build consumer trust, retain market share, and ensure compliance with international labor laws. The term “conflict minerals” refers to minerals including tantalum, tin, tungsten, tantalum, and gold – also referred to as “3TG” – that are utilized in the production of various products, predominantly consumer electronics. In 2010, the United States Congress passed the Dodd-Frank Act which requires certain companies to disclose their use of conflict minerals, due to concerns that the exploitation and trade of conflict minerals by armed groups is helping finance genocide in the Democratic Republic of Congo, one of the main sources of these metals. As per the U.S. Securities and Exchange Commission, the Conflict Mineral Rule requires: 1) the company files reports with the SEC under the Exchange Act, and 2.) the minerals are “necessary to the functionality or production” of a product manufactured or contracted by said company. However, ongoing litigation concerning key reporting and disclosure requirements has made conflict mineral compliance and 3TG transparency an industry-wide challenge. The Dodd-Frank Act requires compliance from nearly 6,000 companies, companies which are waiting for answers from nearly 250,000 suppliers. If a company sources minerals from the region, it must determine if they are from banned sources and report the findings to the SEC. Dodd-Frank compliance can be an arduous and expensive process, but it pales in comparison to the potential bad press, damage to reputation, and loss of business from non-compliance. Nevertheless, some of the world’s biggest companies, like HP and Intel, have made commitments to being “conflict-mineral free.” Though difficult promises to upkeep, they’ve recognized the inherent brand risk of non-compliance, having proactively invested in conflict mineral compliance solutions to improve their supply chain transparency. 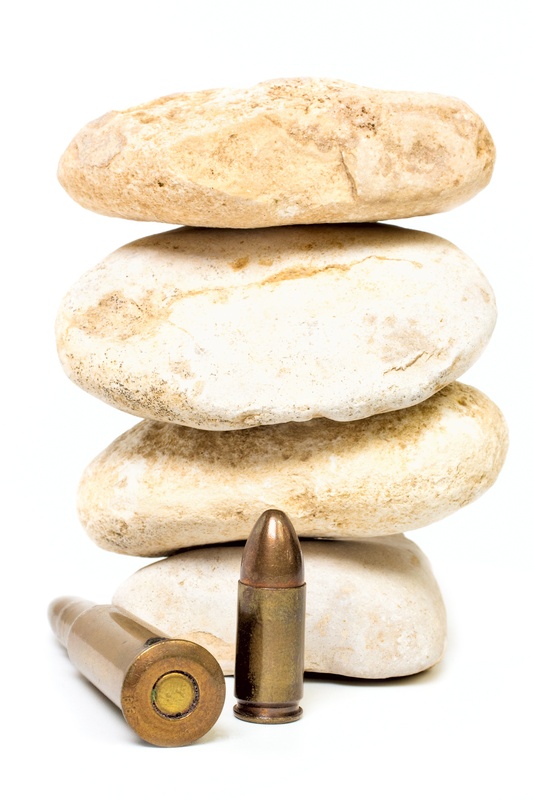 Conflict mineral compliance services can help achieve reporting compliance, manage on-going compliance risks, increase the level of sub-tier engagement, and provide a repeatable process for quality data collection and reporting. Though mired in geo-political complexity, the aforementioned brand risks are not untreatable – they just require transparency and proper protocol. Once supply chain visibility solutions are put in place, you can more easily root out malignancies in your supply chain. Strategic implementation of these services can establish a track record of ethical procurement activities, encourage investment in your business, and strengthen the brand. In short, resiliency pays off. Are Zombie Factories Invading Your Supply Chain? 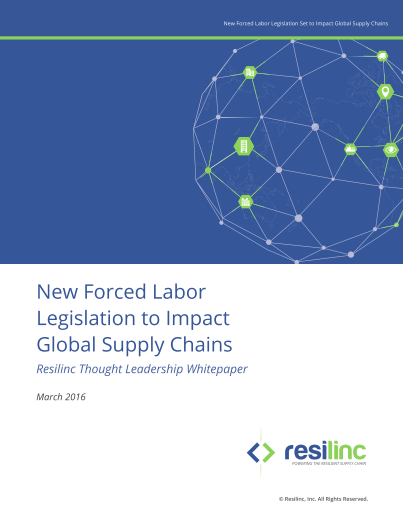 The range of supply chain risks is daunting in an increasingly globalized economy. They comprise extreme weather and other natural disasters, to man-made threats, including geo-political and pandemic crises, factory fires/explosions, and labor strikes. Add to that list "Zombie Factories" as described in a cover story in yesterday’s Sunday Business section of the The New York Times: “The Zombie Factories That Stalk China’s Economy” (Michael Schuman). Zombie factories are companies that the Chinese government keeps “limping along in a kind of march of the undead.” To protect jobs and plants, the government and its state-owned banks keep money-losing businesses— so-called zombie factories—on life support with restructured loans and credit. They do this to maintain social stability or to back struggling factories deemed important to the economy, according to the article. To be fair, supplier financial risk is not a new risk category for supply chain risk management practitioners. And the Chinese zombie companies discussed specifically in the New York Times piece are limited to the beleaguered cement industry which has only a regional supply chain impact. However, it is reasonable to assume that the government policy of propping up struggling suppliers includes companies that are sub-tier partners to global OEMs/brands. While the government policy of intervening financially to ensure uninterrupted production at struggling factories may be viewed as a positive for downstream companies—an added fail safe against financial failure—the experts believe this policy will ultimately prolong the economic downturn. A study of China’s labor market by the International Monetary Fund referenced in the article indicates that from a long-term economic perspective, China would be better off downsizing or closing struggling factories and shifting resources away from less proactive parts of the economy. A more forceful strategy to enact pro-market reforms is recommended. There are two key implications of zombie factories to downstream customers. First, if zombie factories live in your supply chain sub-tier, it is unlikely that the health of the business is transparently reported. As a result, it might be impossible to detect any financial risk. As pressure to more aggressively pursue pro-market reforms mounts, zombie factories may be shuttered with little warning. The impact may reverberate if the shuttered supplier is key sole supplier of a particular component or part. 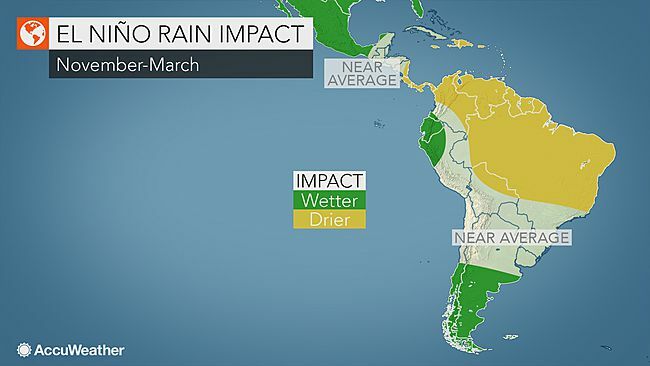 As alluded to above, the effect may be less direct and more systemic. The health of the China economy is important on many levels to the larger OEM/brands. Zombie factories will ultimately be a drag to the Chinese economy. According to the article, by pumping up growth and labor with fresh credit and stimulus, the government might temporarily revive some factories, but also exacerbate the economy’s problems of excess capacity and high debt and that the accumulating debt will ironically kills jobs. It is wise to assess your supply chain exposure to Chinese factories. In addition to zombie factories, China is also dealing with massive stock (market capitalization) upheaval, and a pending regulatory/compliance crack down as a result of the August 12th Tianjin chemical explosions. The first step is mapping your supply chain to achieve basic supply chain visibility. Until you know who your suppliers are and how they are connected, you can’t start the important work of proactively mitigating supply chain risk.